It's not just a train station anymore! 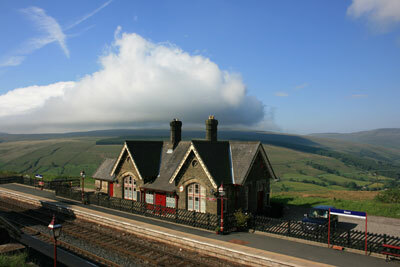 Dent Station is on the beautiful Carlisle to Settle Railway and is the highest railway station in England. The historic station was first opened for public use 1877 and after changing hands several times private owners restored the station to it's former glory and upgraded it's living accommodations to suit guests. 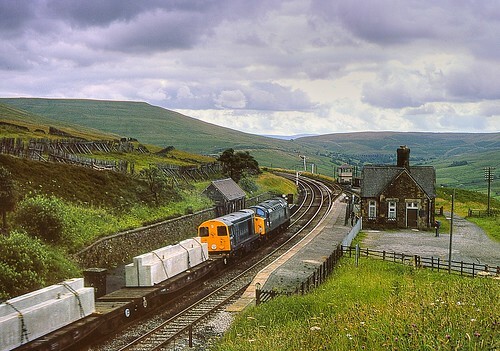 Yes, you can actually stay at Dent Station. It has all the attributes of a warm comfortable English stone cottage with modern amenities. Not 5 miles down the road is the village of Dent. 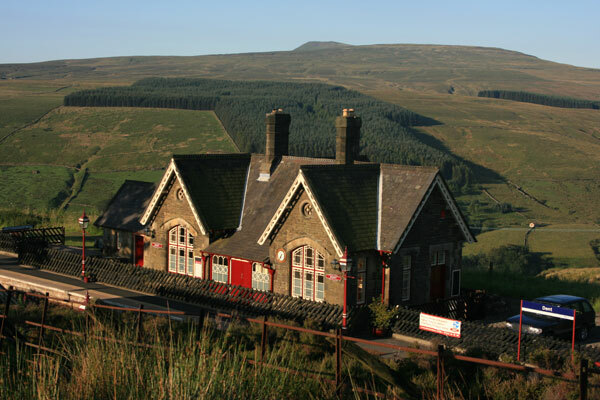 At the heart of Dentdale, the small village sits somewhat detached from the rest of the world. Historically part of the West Riding of Yorkshire and part of the Yorkshire Dales National Park, Dent is the only village in Dentdale. Its delightful, narrowed cobbled streets have authentic old world charm. Not much farther north, but still within the boundaries of the Yorkshire Dales National Park is the area know as The Howgills. The landscape here is a spattering of distinctive, bare, dome-shaped hills with steep sides, few crags and not many walls or fences. Frankly, it doesn't sound like much when you write it down. It's meant to be experienced. The Howgills are one of England’s forgotten walking areas. Sedbergh lies at the foot of the Howgill Fells and at the northern end of Dentdale. Another town, with narrow cobbled streets and old world charm. Sedbergh is England’s official book town. There are over twenty towns throughout the World describing themselves as Book Towns or Book Villages and Britain has three of them, of course (Hay-on-Wye in Wales and Wigtown in South West Scotland being the others). What is a Book Town? Well, it's a town, usually small and usually rural, which has brought together a number of bookshops and other businesses based on writing, reading and publishing. Many of the shops concentrate on selling second-hand books. There are thousands of book enthusiasts whose great joy is to find an out-of-print volume to add to their collections; for them a Book Town is a treasure chest just waiting to be opened. My daughter, I would guess, imagines herself finding a first edition by J.K. Rowling here. This experience is a physical, visual, and perhaps, collectible feast for the senses. And, what could be better for the soul than a train ride, a walk, and a good book?